Republican Representatives Craig (R-Big Bend) and Jarchow (R-Balsam Lake) authored a bill to entirely eliminate the Legislative Audit Bureau (LAB) and the legislature’s Joint Committee on Audit. 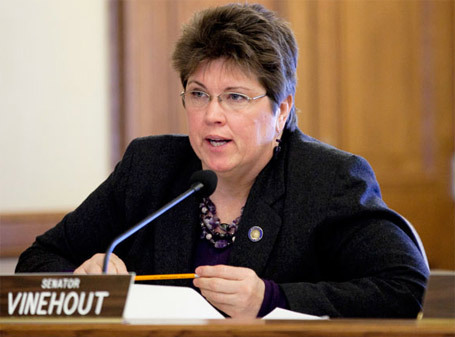 Senator Kathleen Vinehout (D-Alma), ranking minority member of the Joint Committee on Audit, harshly criticized the bill. Representatives Craig and Jarchow drafted a bill to create an Inspector General for each state agency over 100 employees. The Inspectors General are directed to audit agencies and/or programs by the Speaker of the Assembly and the Senate Majority Leader. Recent audits of economic development programs and Medicaid transportation provided lawmakers with critical and budget timely information. Last year’s audit of the Supervised Release program showed that the Department of Health Services was spending more for inmate transportation than the Department of Corrections.